Our new patent-pending, waterproof, fragrance loaded, versatile design freshens the air and neutralizes odors anywhere they are placed for up to 60 days! 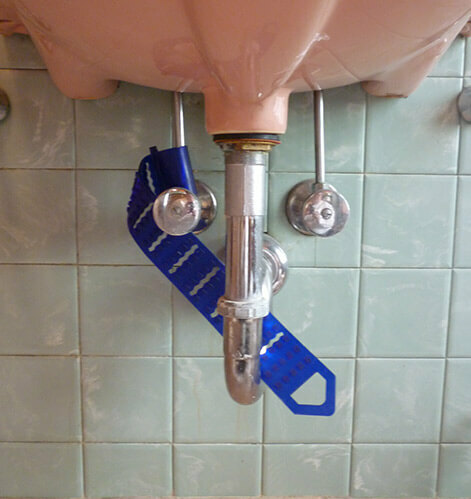 Our self-locking FreshStraps are loaded with fragrance and molecular odor neutralizing additives that are powerful enough to freshen portable toilets, commercial restroom toilets and more. The self-locking design secures to pipes, under sinks, partitions and anywhere you strap them for long-lasting odor control. May be utilized along with WiZZard™ urinal screens and other AIR-SCENT® freshener refills. We’ve also added an optional locking-clip, offering the highest level of vandal deterrence, and they’re V.O.C. compliant, waterproof and recyclable!